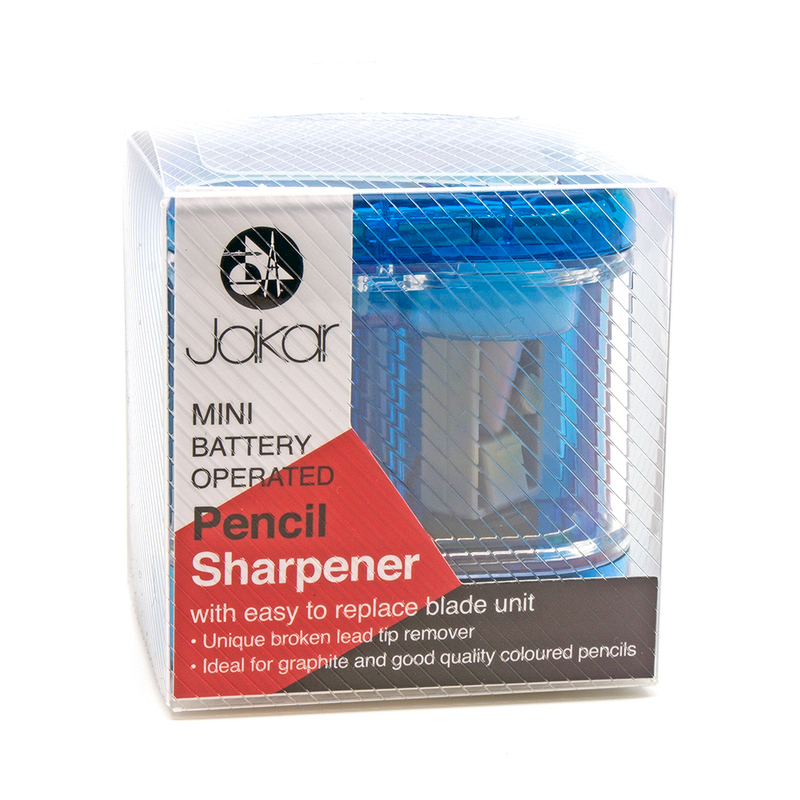 This Mini Battery operated sharpener is manufactured by Jakar and features an easy to replaceblade unit. 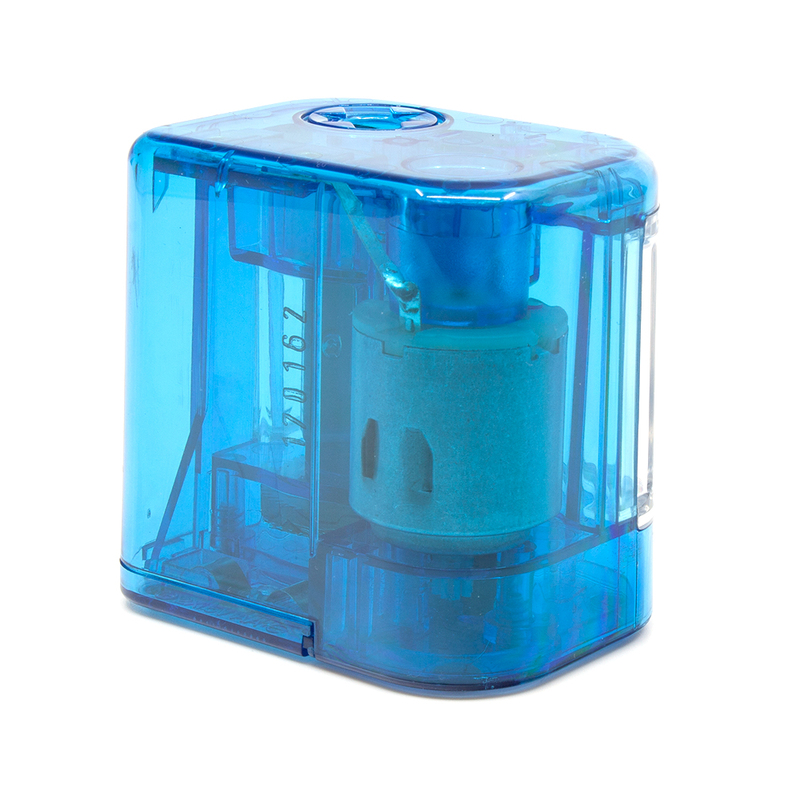 Ideal for use with graphite and good quality pencils only; not suitable for soft pastels, wax crayons or similar. The sharpener is activated automatically when a pencil is inserted. 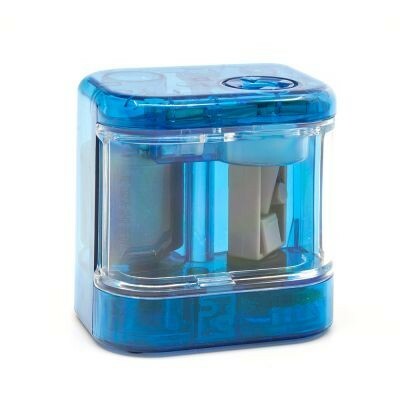 It also features a unique 'broken tip remover' to dislodge and remove broken leads. Available in Pink, Blue, Orange and Green. Colour will be selected at random and will depend on the stock available.